Did you ever heard of recording via ISDN ? this question will be answered in just a few years with a simple “no”. So today we will make a small analysis of the IP Market for voice over. ISDN recording is transitioning into IP solutions, already happening in the radio and TV industry. The answer to the question: „Is there life after ISDN“ is now simply „Yes, the IP life“. The answer to the next following question: „Will it be IP software or hardware ?“ appears to be: „both“. Right now we have the hardware device IP segment with a lot of companies offering Hardware IP Codecs with all kinds of codecs and solutions. You will find a short list of products below. The advantages of these hardware codecs are normally reliability, codec variability and the possibility to use them with other, already existing hardware devices. The main disadvantage is their pricing and sometimes complex usability. The main advantage of IP Software is not only their price, which is almost nothing compared to the hardware codecs, but their real easy way to use and user friendly working process. Some of them just work with browser links and so you just make one click and are ready to go. The great disadvantage of these software codecs are their incompatibilities with hardware audio devices or sound cards (DAWs), the usage of mostly just one audio codec (mainly OPUS) and their incompatibility with existing hardware ISDN codecs. For bigger recording studios the choice will be to have “both worlds” on board. For voice talents its obvious that the IP software solutions will be their way to work. Ip DTL is a browser (Google Chrome) based IP solution. You just need a computer with Audio Interface a mic and a good internet connection. It is very easy. And: It`s for both worlds: Windows and MAC OS due to the total Browser integration. The Codec is Opus which can handle now 128kbps but theoretically up to 510 kbps. It`s designed for speeech but IP DTL also works with picture. The picture option is very import because you can work to picture or simply send your studio camera via DTL IP. For this resaon you might need a good internet connection. The Delay between two IP connections is considerable low, about 50msec can be reached which is almost the same with 2 hardware codecs running on MP3. And the overall audio quality is about the same as an ISDN Connection with 2 lines (128kbps). One of the main drawbacks about this system is the incompatibility with many soundcards and audio interfaces. Sometimes you can only use DTL_IP with the first audio channel of your soundcard or audio device. So have to route your mic and the incoming audio to the first audio channel. Streetprice: 160 USD or 120 Euro USD annually for 128kbps streams, but only one side of a connection must have a paid account. Very soon source elements will come with their answer to IP DTL - Source Connect now. It also features the OPUS codec for 128 kbps and up to 10 connections. It`s also very easy to use and and works on Windows or Mac OS systems togehter with the Google Chrome browser. The main important feature for studios will be that it`s compatible with allmost all channels of any sound card that you use. Streetprice: Not avaible "now" but it`s likely to be in range of IP DTL. Sound Streak is a sequenzer based IP software. It not works in a browser. It`s more a taker system for voice over recording with picture option and ready to use for MAC OS and Windows. It also displays scripts, videos and all kind of information during recording. You dont need a DAW or and ISDN line. Sound Streak is not a „peer-to-peer“ connection, it rather acts as a local recording device. The resulting takes transferred “asynchronously.” That means audiofiles can be transferred without any compression or alteration over any broadband connection. SoundStreak captures and transfers uncompressed audio regardless of the bandwidth. It captures AIFF, WAV, or BWF at up to 96 KHz, 24-bit. So you dont have to send it through a firewall and IP. Production receives an e-mail containing session details, as well as download links to each take. Sessions are accessible through a secure portal. Enterprise users can link multiple users to a single billing account; assign and manage billing codes and apply them to individual sessions; see reports by user, project, or accounting code; and more. Streetprice: 24 USD or 20 Euro per 30 min of usage, only one side oft he connection has to pay via Credit card at the start of session. Mayah, the main german ISDN Hardware company, has developped an IP Based Browser solution 2 years ago. It`s basically working, but Mayah decided not to focus on the software Development of their products. So Sendit 4 could be the best choice for Browser IP Solution these days, but the implementation, the workflow and the reliability of Sendit4 are not the the same as the other products offer these days. The engine is designed for up to 4 connections with 4 different audio qualities. Steinberg, the well known german company for the sequenzer Cubase or Nuendo has develloped a peer-to-peer solution with sample accurate sync. It works within their software (no browser) or as a standalone application with up to 320 kbps, 192 kHz for upstream audio. It also has a video feed, a smartphone app and talkback and it costs 199 USD or 199 Euro with no more fees. This double, full-duplex codec complemens the IP link with one X21/V35 and one ISDN interface. The Stratos comes with the multiple telecom interfaces making it ideal to transition from ISDN to IP. The codec provides for automatic backup or fail-over features ensuring that live communications are uninterrupted in the event of main link-failure. 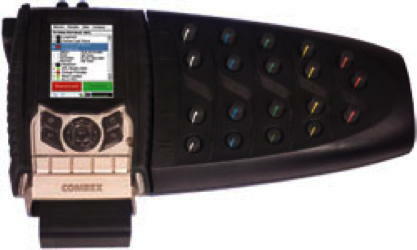 The unit can be operated from the front panel but can also be managed from the ControlPHOENIX software. The Stratos has been developed to allow for additional and optional encoding algorithms upon request, such as AAC and OPUS. This IP audio codec uses BRIC technology, a sophisticated suite of tools that allow for high-quality, low-latency, stable transmission of audio over a wide variety of data networks. Intelligent, dynamic jitter buffer management, BRIC algorithms and the SwitchBoard Traversal Server all work together to provide the most stable audio-over-IP transmission platform available for remote broadcast. Access 2USB offers several ways to connect: The included USB Wi-Fi modem, integrated Ethernet port, or either one of two USB ports to connect to 3G/4G cellular data networks. The unit also includes a USB POTS/PSTN modem to connect to legacy POTS Lines. The Intraplex IP Link family of IP audio codecs offers an array of audio coding options for use in studio-to-transmitter links (STLs) as well as audio contribution and distribution networks. Support for IP multicast and multiple unicast streams enable one encoder to feed multiple decoders. Additional features include N+1 hardware redundancy with automatic synchronization of configuration, optional hot-standby power supply, dynamic stream splicing, multicoding, automatic backup options, and an easy-to-configure and operate Web browser interface. include linear uncompressed, AAC LC and LD, MPEG Layer 2, and MP3. Up to four stereo pairs can be sent in either direction on the link. The unit is controlled by a browser, SNMP or a smartphone. Telos Z/IP One uses public IP links for transmission of program-quality remote audio. With its wide range of genuine MPEG and AAC codecs and flexible connection via SIP, N/ACIP, and Telos' own TSCP protocol, the Z/IP One makes IP remotes easier. Latest updates include Luci Live smartphone and tablet apps, allowing reporters to originate high-quality HD Voice remotes using any Apple or Android portable device with a Wi-fi, 3G, or 4G connection. Designed for multipoint audio distribution, this codec provides six channels point-to-point, three independent bidirectional stereo or six independent bidirectional mono connections, multicasting, multi-unicasting and more. Genie Distribution is IPv4/v6 ready and includes dual Gigabit LAN ports, dual internal power supplies, and 24-bit/96kHz audio sampling. It has professional algorithms including Apt-X Enhanced, AAC, Opus and many more. The APT Horizon NextGen includes SureStream technology, which offers broadcasters the possibility of T1-like quality and reliability using cost-effective IP links with always-on redundancy. The codec hardware is built on a DSP-based platform with dual IP ports and redundant power supplies. The unit supports a full range of algorithms including Enhanced Apt-x, MPEG Layer II, MPEG 4 AAC-LC, -LD, -ELD, and HE-AAC and HE-AACv2 as well as linear audio. Using open Internet connections and multiple unicast, the system can send audio to 12 decoders with SureStream and up to 24 decoders without. This new generation audio codec transmission system is flexible in terms of customization and scalability. It features 64 channels, control via Web remote, and all types of coding and streaming formats. It is fully compliant to lists of RFCs and EBU Tech 3326. The Range of audio encoding is huge, from G.711, G.722, L2, L3, AAC, AAC HE, apt-X, Eapt-X to linear and transparent AES/EBU (audio) or OPUS. Centauri IV can be stand alone or integrated in existing C10, C11, Sporty, Flashman, Centauri and MOBI environments.